Famitsu has posted an article and three new Yakuza 6 videos featuring Series Director Masayoshi Yokoyama giving humorous commentary on the events that unfold. The first two videos are compilations of cutscenes with lots of early plot spoilers, while the third video (above) is a 20 minute romp in Kamurocho’s sandbox. You can find the other two spoilerific videos embedded after the jump. Yakuza 6 releases in Japan for the PS4 on December 8th, 2016. The demo hits the Japanese PSN store, so if you have an account, you should go grab it and check it out! As previously reported, more activities in Yakuza 6 have been revealed, including feeding cats and spearfishing. 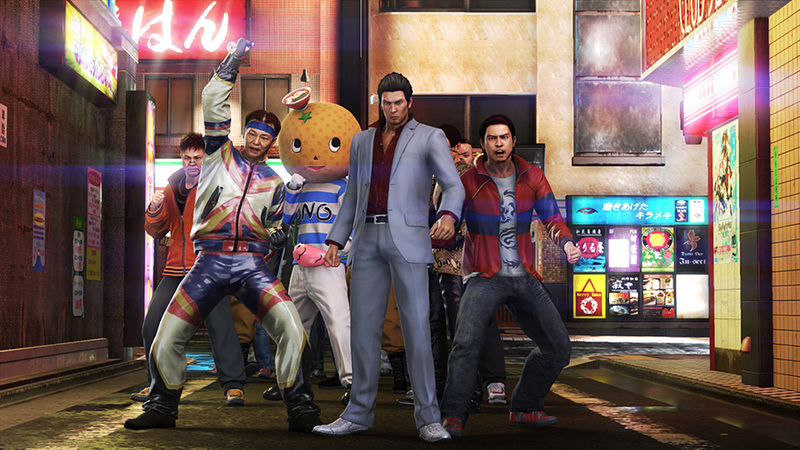 However the official Yakuza 6 website has updated with new screenshots and details about these new activities. Specifically it goes into more detail about comforting Haruka’s baby called Haruto, spearfishing for prophet, saving a cat cafe, casual drinking and eating with patrons, making an offering at a shrine, and most ambitiously is the ability to create your own clan. Special thanks to Gematsu for translations. Click below for more information and screenshots. A special “Yakuza 6 Starter Limited Pack” and “Playstation 4 Yakuza 6 Edition” have been announced for the PS4. The Starter Limited Pack comes with a 500GB Jet Black PS4, a copy of the game Yakuza 6, and a special menu theme, costing ‎¥35,980 ($345) total. 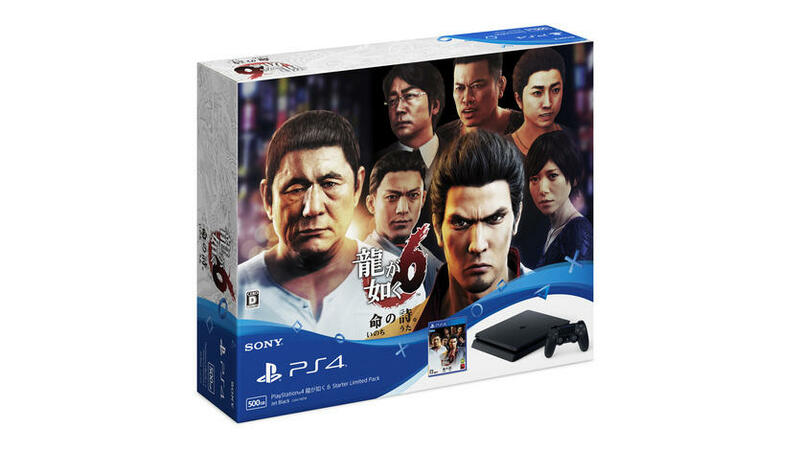 The Playstation 4 Yakuza 6 Edition pack meanwhile comes in either a 500GB or 1TB Jet Black model, and contains a copy of Yakuza 6, a special themed top cover, a special menu theme, and unique designed packaging, either costing ¥33,480 ($321) for a 500GB model or ¥38,480 ($369) for a 1TB model. Both packages will be released for the launch of Yakuza 6 on December 8th in Japan. It can be pre-ordered on the Japanese Sony store here. Click below for images of the console and themed skins. 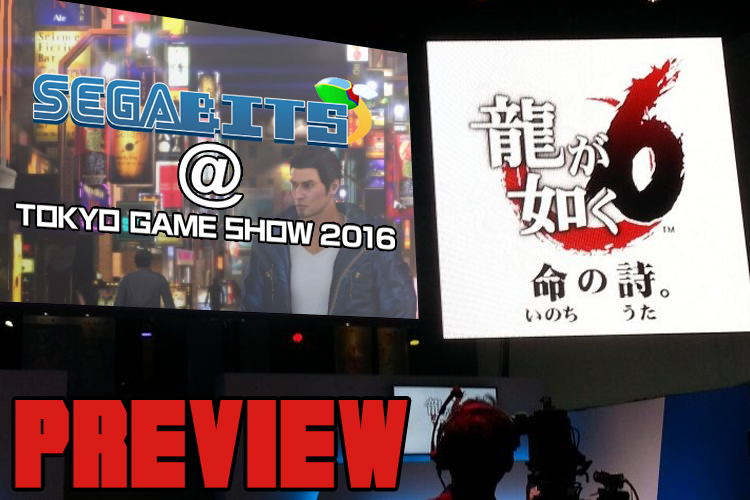 Yakuza 6 at the SEGA stage from Tokyo Game Show 2016 was given a roughly 15 minute demo showing off the game. The demo hosted by Saki Akai and Yokoyama Masayoshi explore miscellaneous aspects of Yakuza 6, including varies phone options, exercising at the gym, exploring the city, and of course being the living crap out of enemies. It doesn’t reveal a lot of new information, but it gives a small impression of what Yakuza 6 is for those that are still unfamiliar with the game. Yakuza 6 releases on the PS4 on December 8th, 2016 in Japan. Meanwhile for those outside of Japan, you can try out the prequel Yakuza 0 coming out on January 24th 2017 if you want to get associated with the franchise before jumping to Yakuza 6 later on.